Our officers are responsible for the security of more than 25,000 domestic and outbound international flights a day. Pay starts at $17.19 Per Hour Pay rates vary by location. 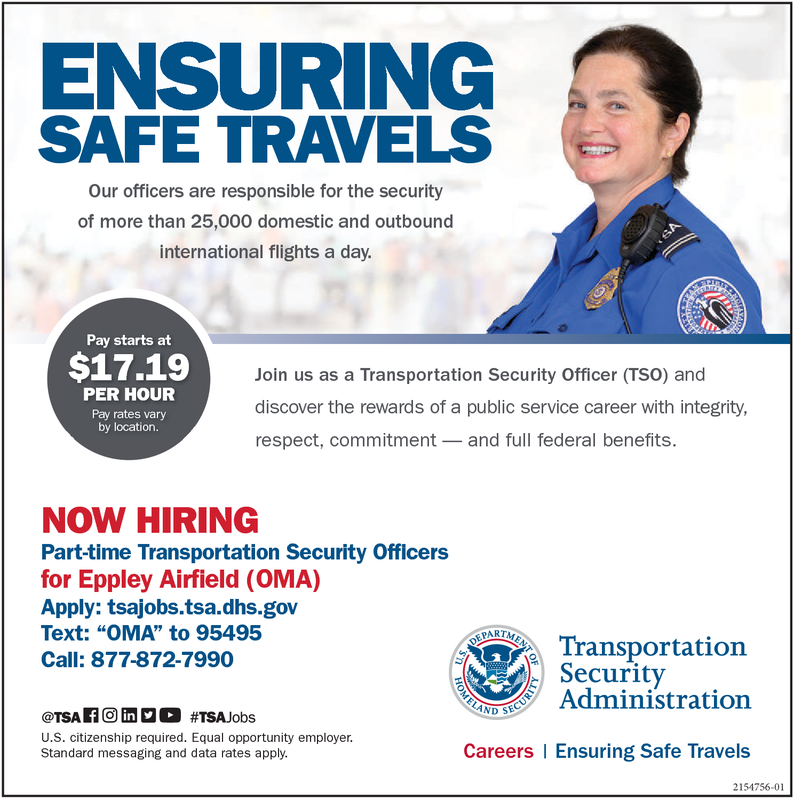 Join us as a Transportation Security Officer (TSO) and discover the rewards of a public service career with integrity, respect, commitment - and full federal benefits. U.S. citizenship required. Equal opportunity employer. Standard messaging and data rates apply.